With hundreds of kitchen countertop designs and bathroom vanity surfaces to choose from, we can help you find the perfect solution for all of your project needs. 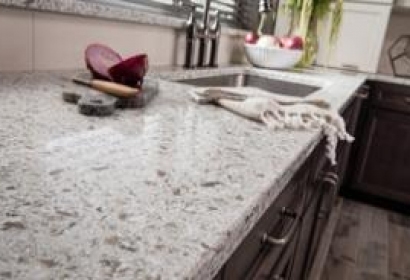 Whether you are looking for the traditional, upscale look of granite, the contemporary look of quartz, or the wide array of colors and patterns available with today’s solid surface and laminate countertops, we’ve got you covered! Quartz offers beauty similar to natural stone. 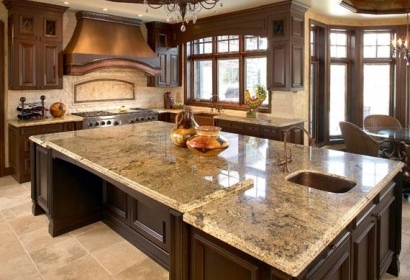 Granite is a natural, beautiful product. 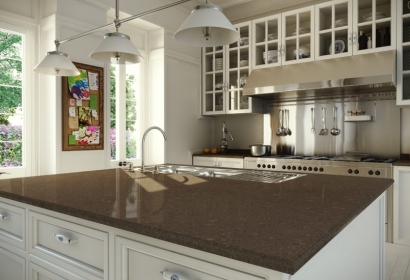 Solid surface countertops are man-made. 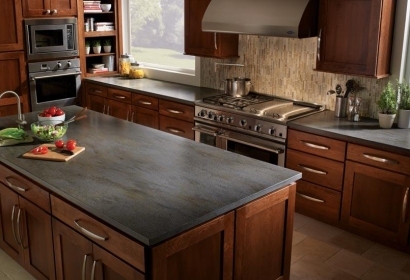 Laminate countertops have an extensive design range.